A Data Protection Officer (DPO), in pursuant to the mandate of the National Privacy Commission to implement the Republic Act No. 10173 or more popularly known as the Data Privacy Act of 2012, one of is required to be appointed by the organization to ensure the protection of your personal data collection and processing. Apart from complying with the legal obligation, having a DPO is beneficial to your company due to the fact that all companies in the Philippines are now being mandated to comply with the said law. The DPOs will be accountable for ensuring compliance by the Personal Information Controllers (PIC) or Personal Information Processors (PIP) with the Data Privacy Act, its IRR, related issuances of the National Privacy Commission, and other applicable laws and regulations relating to data privacy and security. 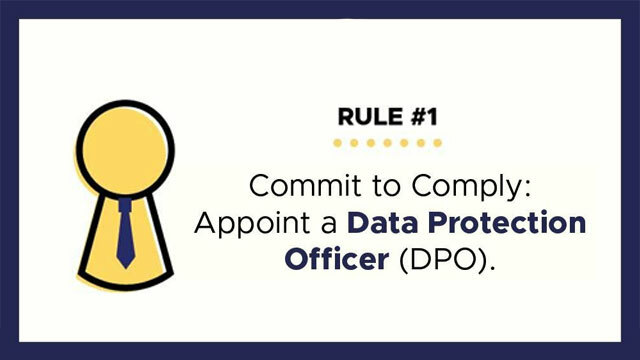 In choosing the best person to perform the role of a Data Protection Officer, here are some of the important highlights on what to prepare and what to expect in return from the DPO in fulfilling the job of ensuring the high-level protection of company data or information. Each LGU shall designate a DPO. A municipality or barangay is allowed to designate a COP, provided that the latter shall be under the supervision of the DPO of the corresponding province, city, or municipality that that component city, municipality or barangay forms part of. All government agencies shall designate a DPO. Each of the subunits of a government agency may designate or appoint a Compliance Officer for Privacy or a COP. The COP shall be under the supervision of the DPO. A DPO shall be appointed and designated by the private entities. advise the PIC or PIP as regards the necessity of executing a Data Sharing Agreement with third parties, and ensure its compliance with the law.